We have recently broadcasted a series of live webinars on Kubernetes, covering a range of practical topics you will come across when evaluating and using Kubernetes. The webinars include demos on how to set up a Kubernetes cluster, installation, validation, running a test suite and upgrading your Kubernetes as well as Deep Learning and AI. Additional webinars on Kubernetes will be released in the coming months, so stay tuned. Discover the simplest and easiest way to stand up and operate a Kubernetes cluster in AWS. Learn about initial configuration, installation and validation. See why testing your cluster’s health is important and how it can help save you time. Upgrading has historically been one of Kubernetes most challenging aspects. Discover how to make it a smooth and easy experience. While Deep Learning and AI are considered the fuel of IT growth for 2017, little has been done out of the cloud to help enterprises to adopt it. 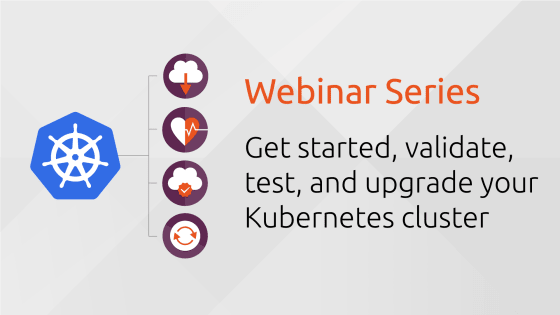 In this on-demand webinar, we discuss how such commoditization can be achieved using Kubernetes, nVidia GPUs, and the operation toolbox provided by Canonical. The Canonical Distribution of Kubernetes is a pure-upstream distribution that delivers you the latest version of Kubernetes with built-in community operational knowledge.